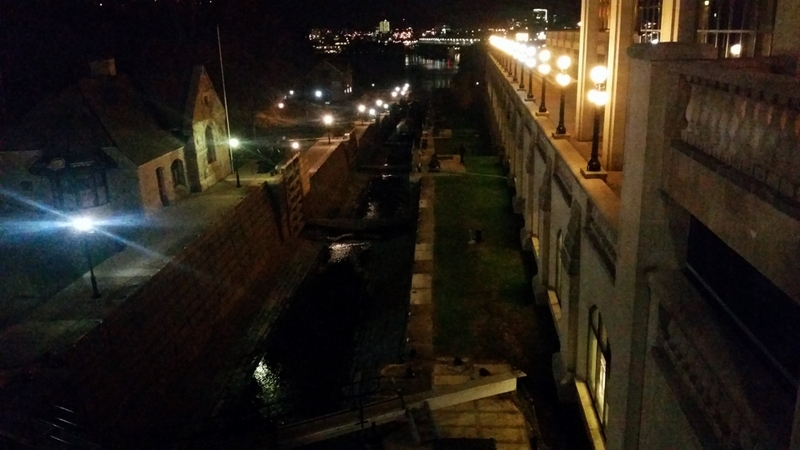 The locks are open and a trickle of water flows through the canal as winter comes to the Nation's capital. 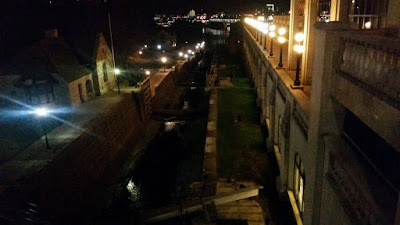 First they drain the river after the canal season ends in the fall, then they partially refill the canal for the famous winter skating, and refill it in spring time - usually late April or early May. 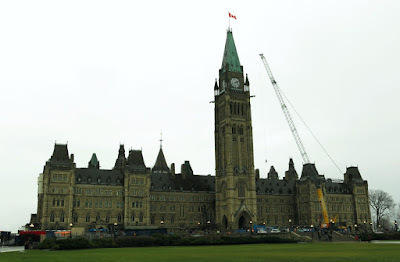 Around Parliament Hill the buildings remain under construction and cranes are everywhere. 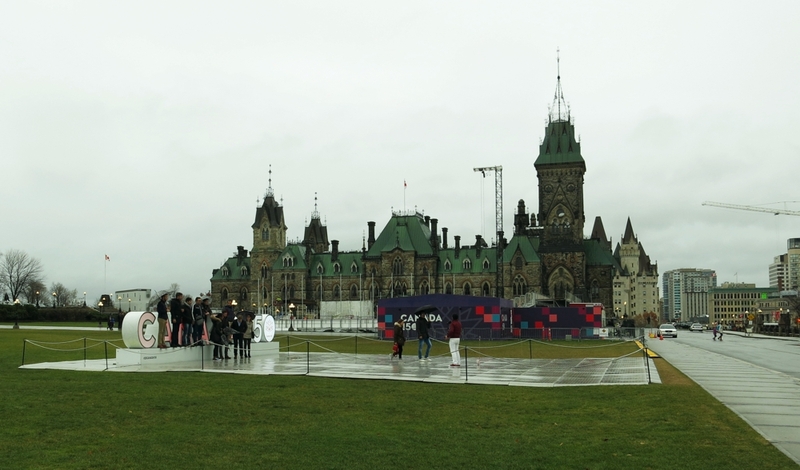 A construction barrier is around the Centennial Flame and beside it is a NHL sized hockey rink being installed close to the east block. The Ministry of Canadian Heritage is adding a section for Nunavut's shield and floral emblem. Across the Ottawa River is the Quebec city of Gatineau which, along with Ottawa, is in the National Capital Region. 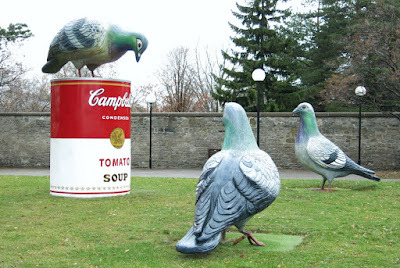 We found an art installation in a park in Gatineau which featured a can of Campbell Soup (tomato) with three pigeons that were fascinated by the can. Each of the components were much larger than life. Artist Cooke-Sasseville created the contemporary artwork sculpture called L'Odyssée with more than a passing reference to Andy Warhol.